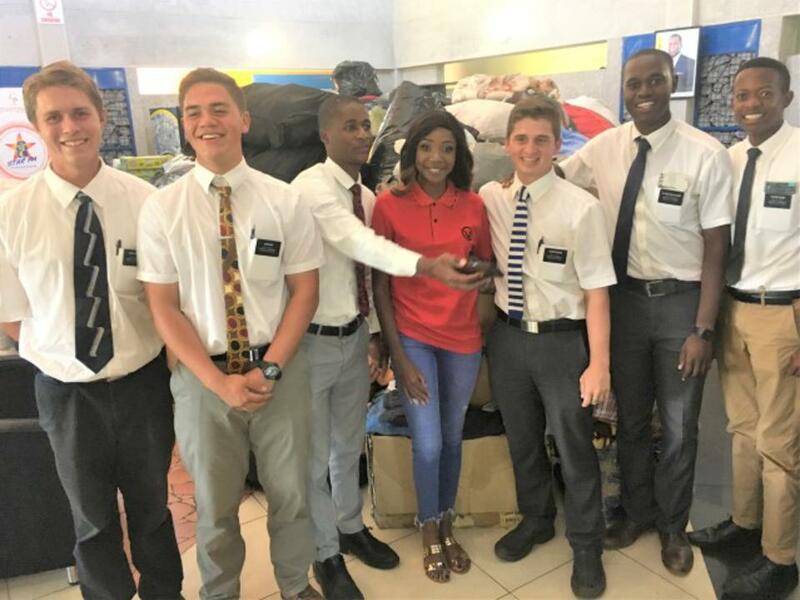 Despite their own personal struggles during hard economic times, members of The Church of Jesus Christ of Latter-day Saints in Zimbabwe generously donated a small mountain of supplies, bedding and food to those suffering from the devastating effects of Cyclone Idai. High winds and floods have spread wide destruction throughout Manicaland, the eastern province of this southeastern African nation. Earlier the gigantic storm (described as the worst storm in history) had done similar damage in neighboring Mozambique and Malawi. The death toll is said to be in the hundreds with hundreds more missing. 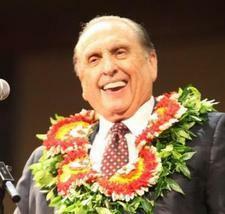 Stories of enormous suffering are starting to pour in as communications are re-established. The entire town of Chimanimani, as well as other villages (Mutambara, Chikukwa, Rusitu, and Chipenge) and many homes, have been completely swept out of existence by the raging floods. With little mechanism in place to handle donations, the members of the Church of Jesus Christ managed to deliver donations that filled several trucks and trailers. Donations came from Harare East Stake, Harare Stake, Harare South Stake, and Marimba Park Stake. Star FM, the number one radio station in Zimbabwe, offered to deliver the supplies over 400 kilometers to the stricken area. 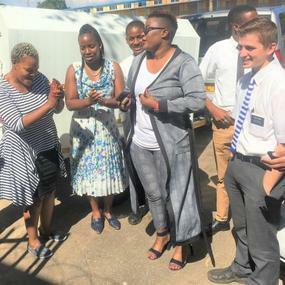 Thursday afternoon, several church members, including six missionaries, gathered at the Highlands Chapel in Harare to load the vehicles. When they arrived at Star FM Radio they were startled to see several women emerge singing, dancing, clapping and ululating to welcome them. Slightly embarrassed at the unanticipated attention, the missionaries proceeded to unload the supplies. Soon, Ms. Kudzai Violet Gwara, popular Star FM Radio presenter, began to interview the missionaries asking them who they were and why they had brought so many donations. They smiled and explained that they are missionaries of The Church of Jesus Christ of Latter-day Saints, and as disciples of the Saviour, they felt that one of the best ways to serve Him is to serve their fellow man. They expressed concern for the people in eastern Zimbabwe and Mozambique and hoped these few items would alleviate a bit of their suffering. Missionaries with popular Star FM Radio presenter, Ms. Kudzai Violet Gwara. A few minutes later, the station general manager, Mr. Comfort Mbofana, invited them to his office, asking them again who they were and what church they belonged to. They explained again the purpose of their visit and thanked Star FM for transporting the supplies to the people of Manicaland, Zimbabwe. Missionaries with Star FM general manager, Mr. Comfort Mbfana, to discuss Church donations for victims of Cyclone Idai. Church Provides Aid for Camp Fire Victims: "The Way People Have Reached Out Is Absolutely Overwhelming"